Yasuhide Nakayama, Former State Minister of Foreign Affairs and a member of the House of Representatives. He also served as policy secretary to former LDP House of Representatives members, Yuriko Koike (now Governor of Tokyo) and his father, Masaaki Nakayama. His past senior positions include Parliamentary Vice-Minister for Foreign Affairs (2007-2008), State Minister for Foreign Affairs (2014-2015), Director of both the Economy, Trade and Industry Committee and Foreign Affairs Comittee in the House of Representatives, Deputy Secretary-General of the LDP, and Deputy Chair of the LDP Special Committee for the Promotion of Data Health. We expect nearly 150 guests, including more than 50 Japanese companies with existing operations in Emerging Europe, or plans to expand in the region. The Awards Gala will be preceded by a full-day Summit of discussion panels covering key investment factors and case-studies of Japanese firms in Central Eastern Europe. The countries of Central and Eastern Europe (CEE) are increasingly recognized as a primary location for investment by Japanese companies, in areas such as automotive, manufacturing, high-tech, business services, and energy. With Poland the strongest location in CEE Europe, other countries such as Hungary, Czech Republic, Romania, and Slovakia are important investment destinations for Japanese firms. Additionally, in 2018, Japan signed a Economic Partnership Agreement with the European Union, with the Japan-EU EPA to go into effect in 2019. And lastly, with Brexit on the horizon, many Japanese companies are looking for alternative locations inside the EU. Cross-border opportunities between Japan and Central Eastern Europe in the areas of Technology, IT, Gaming, SoftDev and Digital. 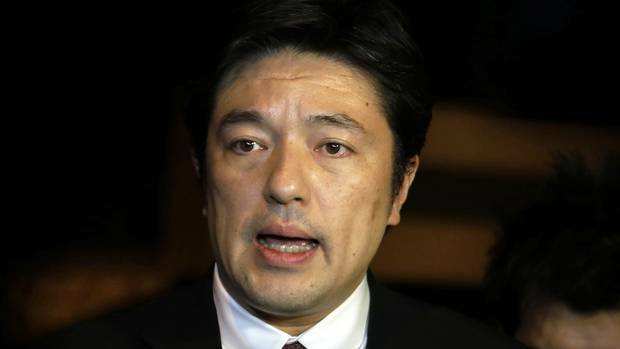 More than 50 Japanese executives who have decision-making authority over investment decisions in CEE. International top execs from CEE who are keen to expand their relationships with Japanese firms. Investment Promotion Agencies from Poland, Hungary, Czech Republic, Slovakia, Romania, and the Baltics – as well as investment advisory firms and service providers. Daiwa Securities acquires boutique Spanish investment bank Montalban Atlas Capital to combine with DC Advisory (offices in Poland, France, Germany, UK). Kyocera Document Solutions Europe acquires printing solutions firm Janus (Czech Republic). Along with partner airline Finnair, JAL has confirmed its support of the Japan-CEE Europe Investment Summit & Awards. Via its European hub in Helsinki, JAL serves all major cities across Central Eastern Europe. Juraj Petruška, Economic and Commercial Counsellor at the Embassy of the Slovak Republic in Tokyo, has joined the Jury. Slovakia has attracted a large number of Japanese investors over the last 10 years, especially in the automotive sector. With the addition of Slovakia to the Jury, the Japan-CEE Investment Summit & Awards now includes the major CEE economies, including Poland, Czech Republic, Romania and Lithuania. The leading independent public affairs agency in Central Europe has agreed to a keynote presentation, providing Japanese investors a “bird's eye” overview of the dynamic political environment across CEE. The firm, led by Marek Matraszek, serves multinational clients across a full range of policy areas, including Financial Services, Energy, Infrastructure and Defence. CEC GR employs 40 people across its network of offices in Warsaw, Prague, Bratislava and Budapest, as well as affiliatesin Bucharest, Sofia, Kiev, and the Baltic States.